What is the purpose of the Storage Box Container Trolley? The Storage Box Container Trolley is outstanding for separating small items, like screws, nails, or bolts. The total capacity for the trolley is set at 250 kg. The sturdy frame is tubular and angled steel. The platform of the shelves is made from derived board. The 12mm rim holds the container in place and prevents topples. Two of the wheels can be placed to stationary with a brake. The other 2 wheels can swivel for optimal motion. The product can be navigated from any side. The trolley will arrive flat packed and is available in the colour blue. The trolley can be used in many work settings. Tool shops will find the containers very handy for small items, like nuts, nails, and bolts. Small tools can be placed in the containers for quick clean-ups. 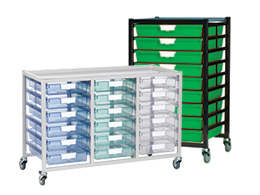 Medical facilities can keep supplies neat and organized for their next use. Delivery companies can separate paperwork for upcoming deliveries or incoming orders. The possibilities are limitless with this effective design. Who might use the plastic storage trolley? 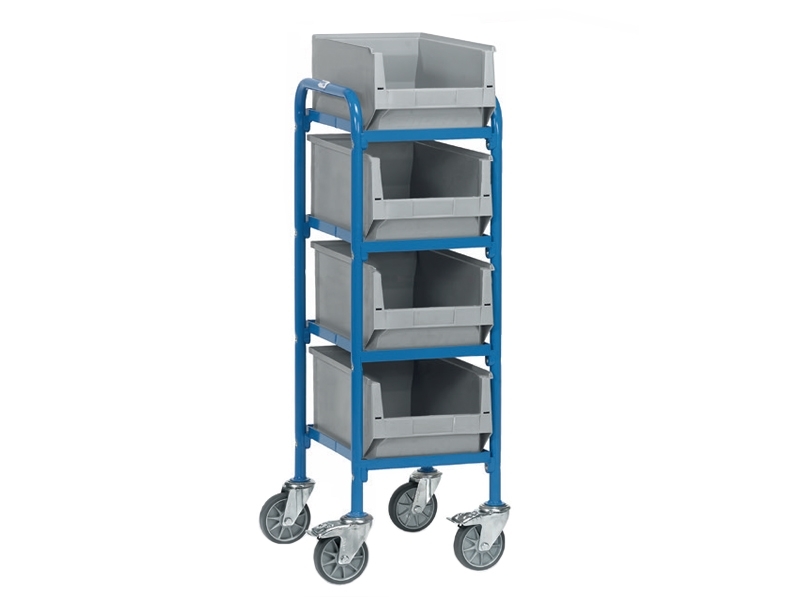 This trolley can be utilised by any company or business. The design enables for bulk small items to be stored away with ease. The product is designed and manufactured for optimal results. The materials the trolley is made from are of the highest quality.